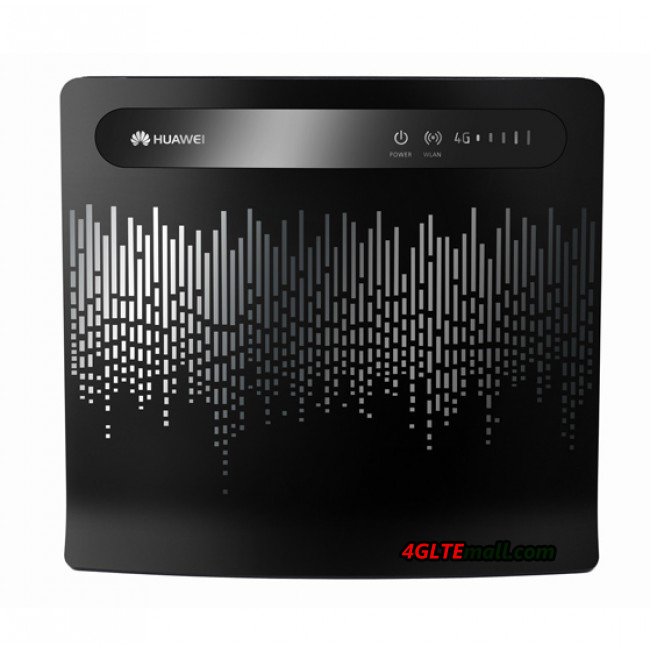 HUAWEI B392s-2 4G router is customized to provide LTE service for Gemany carries Telekom and it’s named “LTE Speedport“. The LTE Speedport B390s-2 is from the manufacturer Huawei. 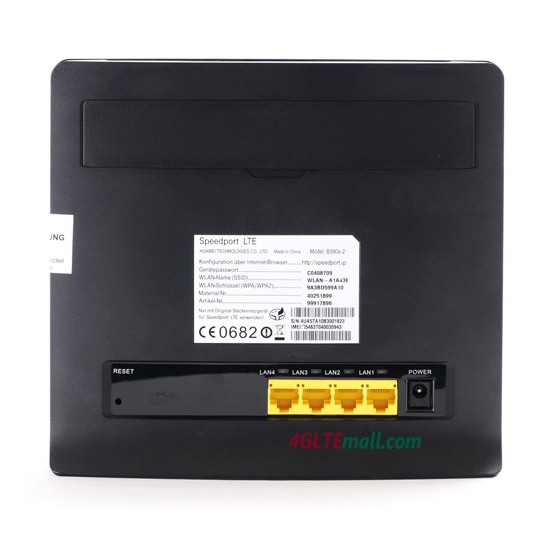 The classic appearance in black case is an LTE modem router with WLAN. Below is the specification and general review of HUAWEI B390s-2. Behind the Speedport LTE, it’s indicated that the model brand HUAWEI and model number B390s-2. The integrated LTE modem (4G) is only capable of the LTE band 20 (800 MHz). The Uplink frequency is 832-862MHz and downlink frequency is 791-821 MHz. The supported bandwidth is 10 MHz. So\ the router is uniquely determined only for rural use. The chipset “HiSilicon Hi6910” was installed. Unfortunately, the router does not have a PBX. For Germany Telekom, this feature may be a disadvantage. Because in LTE tariff “Call & Surf via Funk “is an analog telephone port (optional ISDN) including fast network speed. So you need no additional hardware. For the construction of the home network, 4 LAN ports can be used at the LTE speed port B390s-2. If you prefer to connect wirelessly, user can rely on the WLAN standards IEEE 802.11 b/g, which allows up to 54 Mbit/s data transfer rate. The latest “N” standard is unfortunately not supported, nor as 5 GHz Wi-Fi. This should hopefully be supported with the upgraded model. The HUAWEI B593u-12 provides as significantly Higher speed to 100Mbps. And the encryption method can be chosen between WEP, WPA and WPA2 as usual. The Telekom Speedport LTE is almost half as much as the technical, virtually identical to Vodafone B1000 4G Router. The weight is only 424 grams instead of 900 grams. The dimensions of the router are 195 x 169 x 64 mm (width x height x depth). Anyhow, it’s a reliable wireless router for building a home or office network.